CIVIL SERVANTS were duped by Information dep minister Mutodi’s housing company out of cash at Lower Rangemore in Bulawayo. Mutodi’s company duped them out of their hard-earned money in a botched housing scheme at Lower Rangemore in Bulawayo. 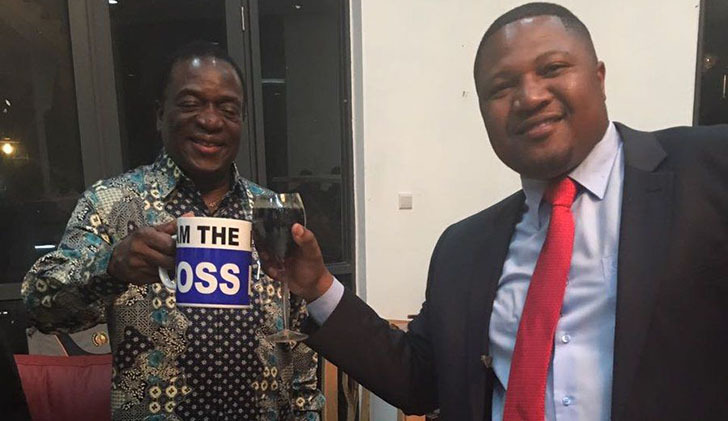 Mutodi is the owner of Zim Trust Housing Finance that launched the project in 2008 for government workers, mainly teachers, but failed to deliver the stands after collecting money from the desperate home seekers. The civil servants, most of them teachers, stormed Southern Eye offices in Bulawayo on Friday, accusing Zim Trust Housing Finance, which also trades as National Housing Delivery Trust, for failing to allocate them stands even though they had finished paying for them. “We engaged this company in 2008, and we were made to contribute $100 towards purchasing of stands measuring 200 square metres, but until today, we have not been allocated our stands, regardless of the fact that we have finished paying for them,” one civil servant said. “They had initially told us that if you contribute $1 200, they will allocate you a stand and then you pay the balance over two years, but that never happened. Their stands cost $3 400,” another civil servant said. Civil servants demanded their stands and accused Mutodi’s company of being dishonest. “We want our stands like now. The ministry responsible for this should look into the issue and help us,” said one of the angry government workers. Contacted for comment, project manager Neganda Tawonga said civil servants would get their stands as per agreement, only that the company had challenges with subdivision permits which they were supposed to get from the provincial physical planning office. “We appeal to our clients to bear with us, the issue has been rectified. However, the majority of them (civil servants) have not finished paying,” he said. He said as soon as they get the permit from the Environmental Management Agency, they will start allocating the stands. According to a certificate of completion of payment for one civil servant seen by Southern Eye, the directors of the trust are Alma-Louise Gordon, B Chikono, B Chifamba, while Mutodi, K Bhotsha and OZ Gumbo are listed as executives. Several efforts to get a comment from Mutodi were fruitless as his phone went unanswered. BREAKING NEWS: Ex deputy minister Godfrey Gandawa, facing 14 counts of fraud and criminal abuse of office is on the run.